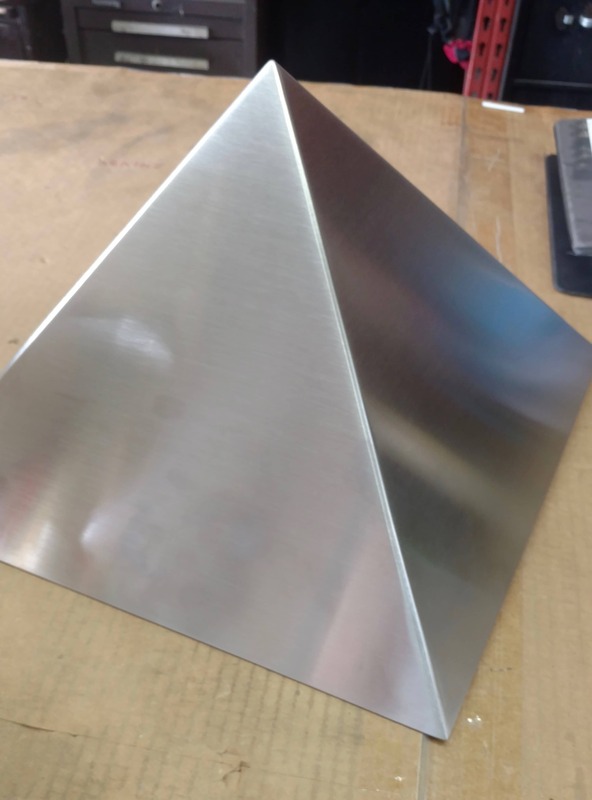 Stainless Steel Pyramid - The Golden Number. 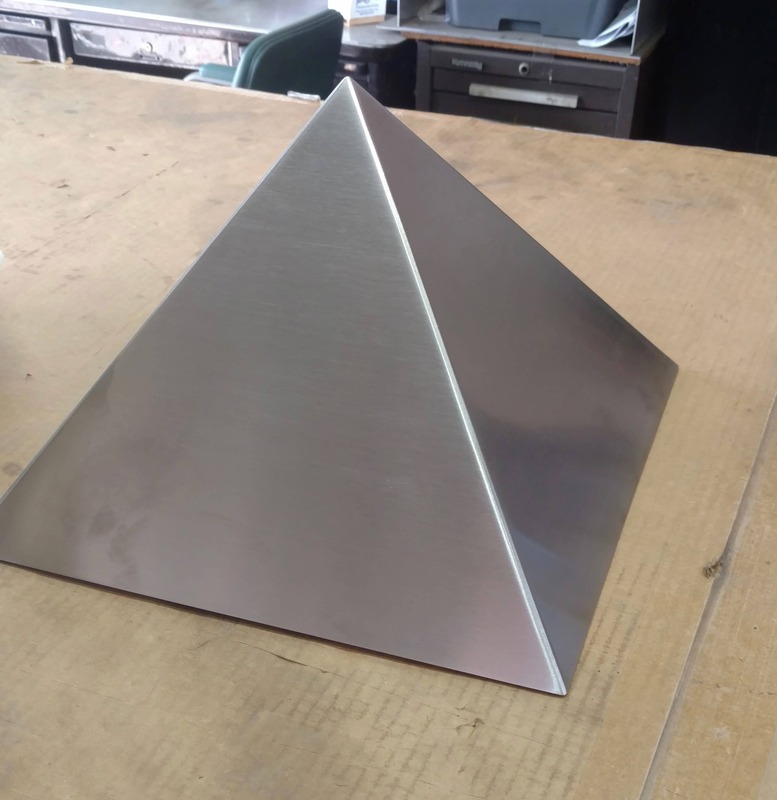 Again MetalsCut4U was asked to help out in a very special project to fabricate stainless steel sheet metal into a pyramid. It turned out to be a bigger project than anticipated originally. The pyramid is open on the bottom, so no sheet metal there. 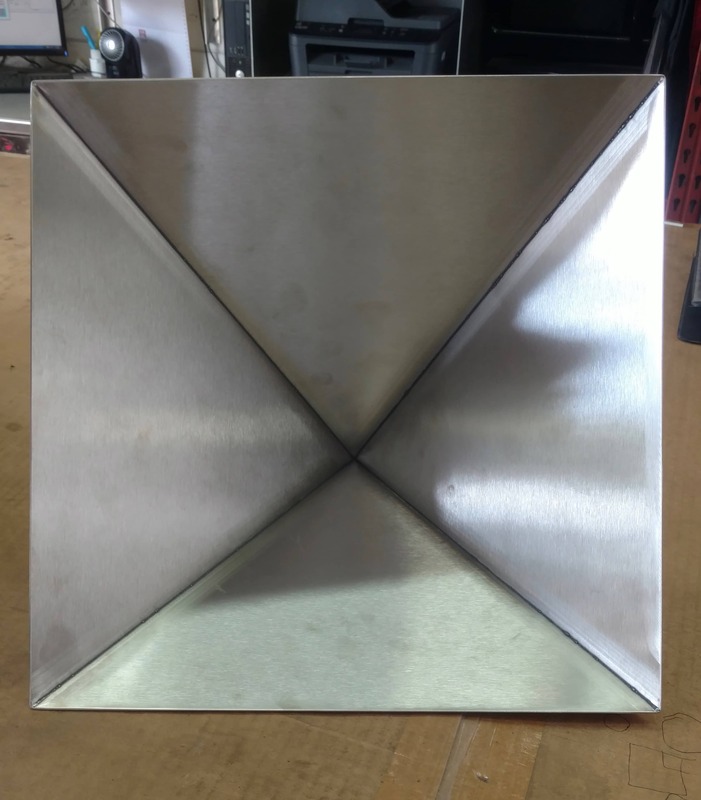 So we first thought we cut cut two pieces to save on the welding time involved, by first bending half of the pyramid sides in 90 degree angle. In that case we would have had only two welding seems. It turned out that idea was not giving us the results we expected. We think, we did a pretty good job. If you have a project be it simple or complicated do not hesitate to contact us. We will be happy to look at your project. All you have to do is to send us a drawing with measurements of your metal project. Give us all the details, like the metal you would like to use, the surface and the thickness. If we can fabricate it, we will make you a free offer. But before you go ahead and start sending us your drawings. 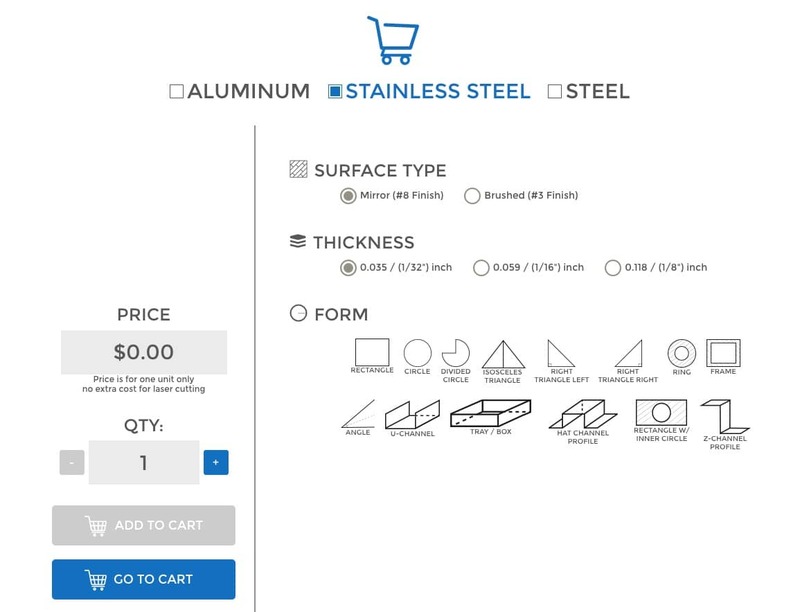 Maybe you want to look at our 4 step configuration process you can easily click and get a price quoted for the sheet metal you have selected. We even tell you what the estimate will be for shipping it to you. We offer 14 different shapes and forms, which you can configure or build on our website. 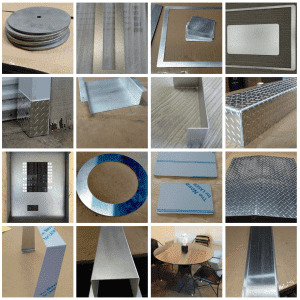 Choose from the sheet metal Aluminum, Stainless steel or Carbon (mild) steel and go from there. 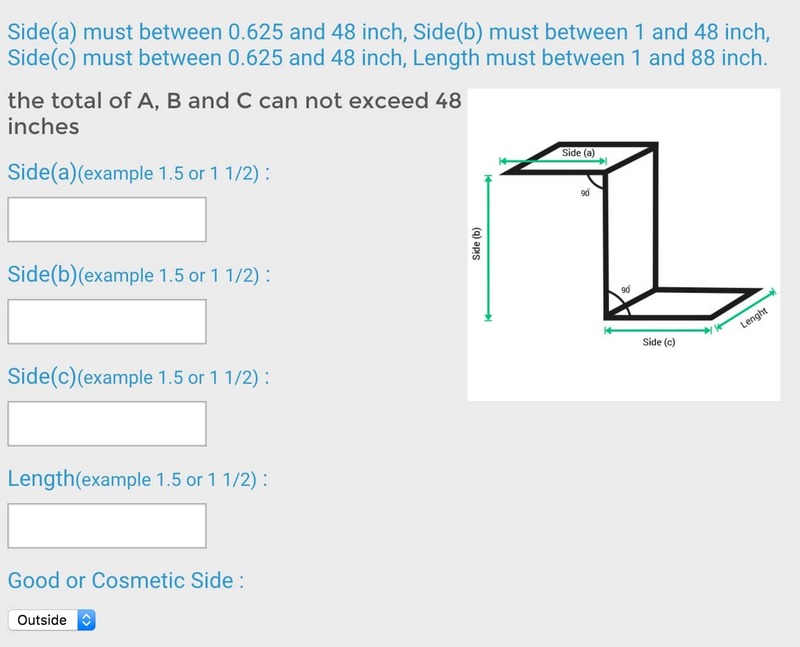 4 easy clicks and the measurements you require for your project. When can we expect to support your DIY metal project?